Two scars on inner side of left knee, fit for service. 4 January 1918 - Admitted to Field Hospital - wounded in buttocks; 10 January 1918 - Embarked for England from France; 19 January 1918 - Placed on seriously ill list; 14 February1918 - Died of wounds at Military Hospital. Henry was the eldest son of Harry and Wilhelmina Evans who farmed at Southburn. 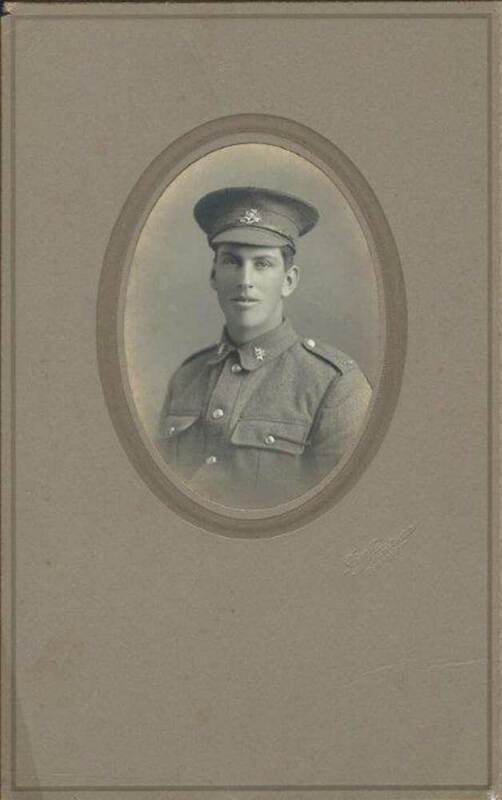 Henry attended Southburn Primary School and worked on the family farm before enlisting. 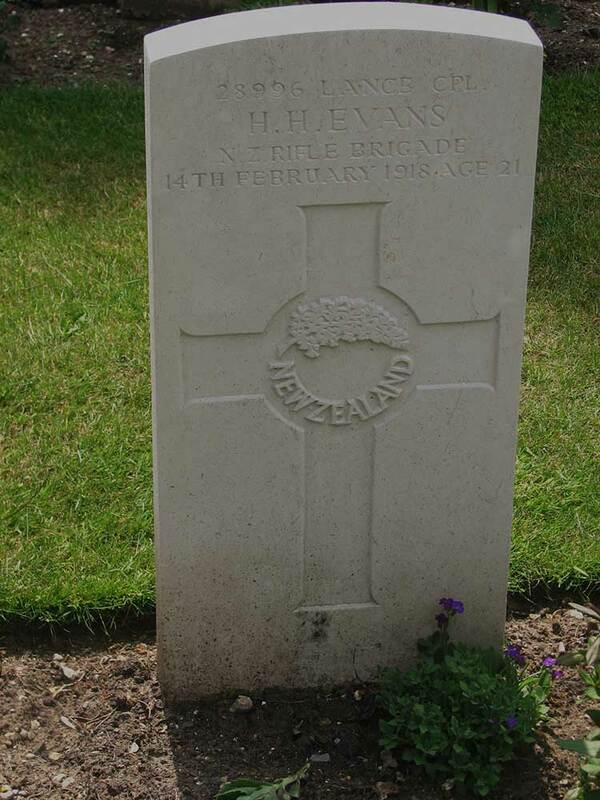 Henry left NZ with the 18th Reinforcement in October 1916, going to England and then on to France where he was severely wounded in the Battle of Polygan Wood. He was returned to hospital in England and died six weeks later on 14 February 1918.